Have a question about a book? Want to share a book-related picture? Want to follow your friends and see what they're reading? 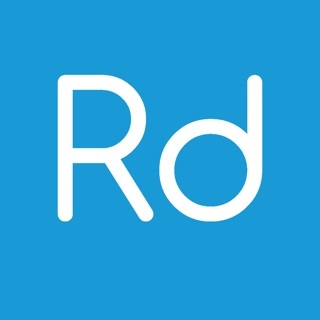 You can do this and so much more with Readfeed. *e-Book Reading is not yet supported. Stay tuned, and don't forget to email us at info@readfeed.com with any questions! I’ve been trying a few book apps to keep track of books I read, to read, and reading. This is perfect just to do that! Many other book apps were so cluttered and had so many unnecessary features that made me tired. I just wanted a fitbit for my reading, and this is just that. Highly recommend. Thank you for the feedback magicofbooks. We will continue working hard to improve the experience! I was just getting my account set up and adding books and now I can’t even open the app anymore. I was really enjoying the app but can’t get it to open, it just crashes. Hi lish438, sorry about this. Please try again, it should work now. Also, a brand new version will be released very soon. Please reach out to me at info@readfeed.com if you have any further issues or feedback. Thanks! Love the app. My friends and I use the app to share books and keep track of our reading list. Extremely easy and enjoyable to use.